(2) Petra Kitchen: On one of the nights while you are in Petra you can enjoy a night cuisine course and meal at the Petra kitchen. The Petra kitchen has a relaxed, informal atmosphere where you'll prepare an evening meal, working alongside local women under the supervision of a chef. This includes soup, cold and hot mezza and salads, a main course and takes home recipes. The price for this cooking course is US$40/ per person. · 06 nights’ Accommodation ( 4 Nights in Amman + 2 Nights in Petra) with daily breakfast. · Extras or any unmentioned items. 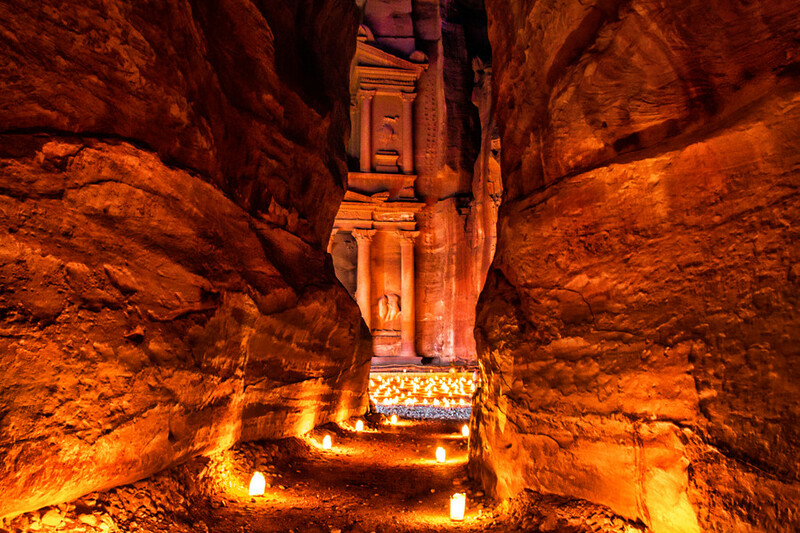 · 03 nights’ Accommodation ( 2 Nights in Amman + 1 Nights in Petra) with daily breakfast.